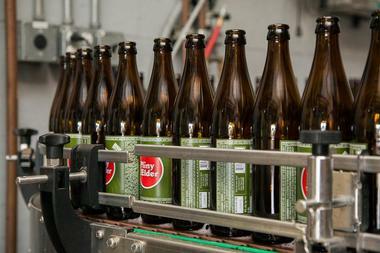 California is known as the birthplace of the modern craft beer movement. With 1983’s opening of Mendocino Brewing Company, the state also became the home of the second brewpub to open in the United States since Prohibition. Since then, more than 900 new breweries have opened in the state, making it the top state in the nation for craft microbreweries. Sante Adairius Rustic Ales is the project of owners Tim Clifford and Adair Paterno, focusing on quality and authenticity in craft old world ale styles. 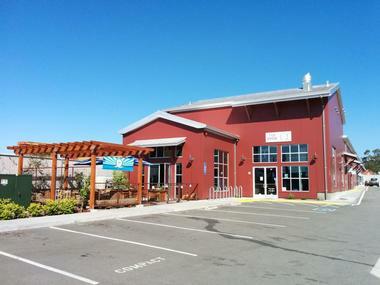 The Santa Cruz County brewery offers a new tasting room facility that is open to the public seven days a week, along with its original Capitola brewery that is open for tours and tastings Tuesdays through Sundays. Popular brews such as the brewery’s Four Legs Good Blond Quad, Love’s Armor American Wild Ale, Maiden Fields Berliner Weisse, Saison Bernice, and Deaf Stewart Witbier are tapped year-round, while limited release brews highlight unique styles and collaborations with other regional breweries. An invitation-only member’s club, SARA’s Cellar, offers access to additional exclusive brews. Discretion Brewing is a family-owned brewery that is dedicated to sustainability, using 100% organic malts and hops in all of its brews and operating as Santa Cruz’s first entirely solar-powered brewery. The brewery’s taproom taps up to a dozen of its beers at any given time, including its core Oh Black Lager, Shimmer Pils, and Uncle Dave’s Rye IPA styles. Seasonal beers include favorites such as the brewery’s Wisdom Wheat Kindness American Wheat, Bramble Ramble Blackberry Kettle Sour, and Dublin Sunburn Irish-style Red Ale, along with experimental saison and Belgian-style specialty series. Farm-to-table food is served at the brewery’s taproom, which welcomes children and dogs. Each Monday, the brewery sponsors a different local nonprofit organization, donating a dollar of each draft sale’s proceeds. 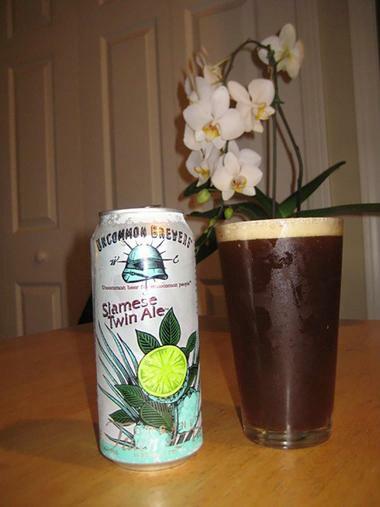 Uncommon Brewers have been operating out of Santa Cruz since 2007 and have received major awards at the National Organic Brewing Challenge, the Australian International Beer Awards, the Ameri-Can Festival, and the World Beer Cup for their eclectic brews. 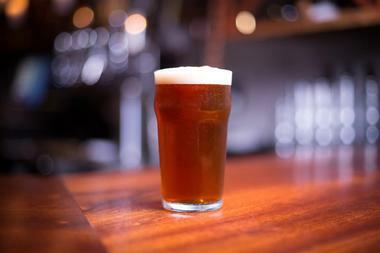 The brewery eschews popular trends such as the current IPA craze, focusing instead on lesser-known styles and brewing techniques, with many beers barrel-aged to maximize flavor. Major releases include the brewery’s Steamers Lane Lager, Chardonnay-aged Golden State of the Oak, Japonica Pils, and Indian-spiced Siamese Twin Ale. Though no public tasting room is offered, visitors to the brewery are welcome by appointment. 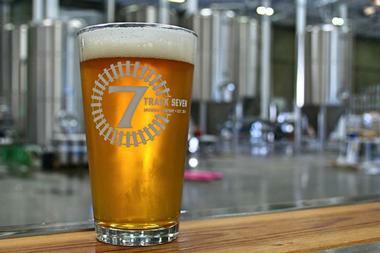 Track 7 Brewing Company was established by two passionate homebrewing families, named in honor of the brewery’s location near Sacramento’s former Western Pacific Railroad trackway west of Curtis Park. The brewery emphasizes West Coast-style hopped beers, though it does not specialize in any particular brewing style. Two taprooms are offered throughout the Sacramento region, including a new Natomas facility opened in 2015. Both taprooms stock the brewery’s year-round taps, including its Panic and Left Eye Right Eye IPAs, Daylight Amber Ale, Hoppy Palm Pale Ale, and Bee Line Honey Blonde Ale. Seasonal and limited-release brews are also offered, often focusing on IPA and imperial styles. Food trucks are parked on site at both locations daily, and public trivia and Paint and Pint nights are offered several times a month. 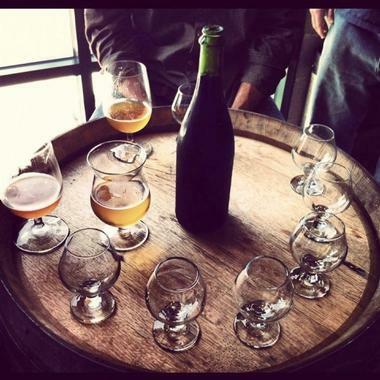 The Bruery is a small family-owned boutique craft brewery located in Placentia, Orange County, CA established in 2008 that specializes in experimental and barrel aged ales. The brewery produces a few dozen original beers every year, adding new ingredients as inspiration strikes. Their collection of oak barrels is growing as well. Almost half of their beer is aged in wine or various spirit barrels, invoking flavors of the Belgian countryside or old-fashioned American distillers. 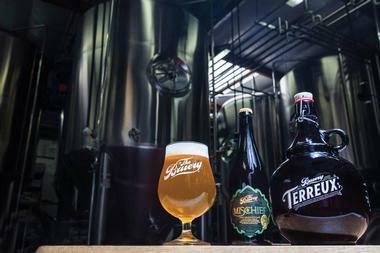 The Bruery Tasting Room in Placentia is a popular gathering place, attracting beer enthusiasts from all over the place. There is a window through which drinkers can watch their beer being made. Tours are also available upon request. 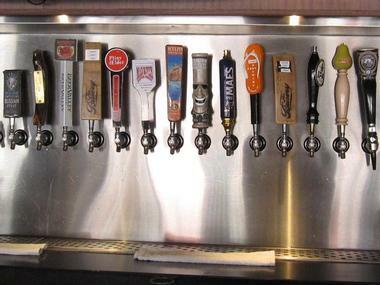 There are always about 50 beers on tap, by the glass, or by the flight. Food comes from the lineup of food trucks parked in front. 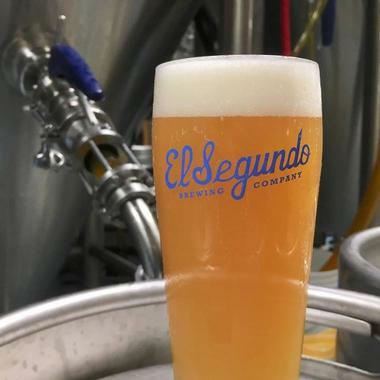 El Segundo Brewing Company is located less than 20 miles from downtown Los Angeles and has become a national craft brewery favorite among the city’s South Bay craft beer scene thanks to its partnership with professional wrestler Stone Cold Steve Austin, who helped formulate the brewery’s Broken Skull IPA. The brewery opened to the public in 2011 and offers a family-friendly taproom near Los Angeles International Airport, open seven days a week with 20 beers on tap for tasting. Popular beers include IPA styles such as the brewery’s White Dog Wheat IPA, Cerveza Fresca Juicy IPA, Mayberry West Coast IPA, and Citricos de las Suertes Double IPA. Other styles include its Hyperion’s Nitro Vanilla Stout, Citra American Pale Ale, Station No. 1 Red Ale, and Aileron Saison. Growler fills for all beers are available, and food trucks are offered on site on Fridays and Saturdays. Aftershock Brewing Co. is one of the Temecula region’s newest breweries, though its owners have been homebrewing for more than 25 years. The brewery takes an artistic approach to all of its creations, showcasing its hands-on approach to crafting all of its ales. 42 taps are available at the brewery’s bar and tasting room, including several taps reserved for the company’s non-alcoholic sodas. Popular beers include the brewery’s Oatmeal Raisin Cookie Ale, Peanut Alert Peanut Butter Red Ale, Paradisi Grapefruit IPA, Kiwi Gose, and PB&J Bay American Barleywine. Crowlers and signature brews are half-priced on Wednesdays, and new release limited-edition brews are tapped each Friday. Knee Deep Brewing Company is a family-owned microbrewery that began brewing in 2010 in cooperation with Lake Tahoe’s Mt. Tallac Brewing. Since 2011, they have operated their own brewery, which is now located within a 28,000-square-foot brewhouse in Auburn. The brewery has been the recipient of several major national brewing awards, including a bronze medal at the 2016 Great American Beer Festival for their Breaking Bud American-style IPA. Other year-round brews include the brewery’s Citra Extra Pale Ale, Hoptologist Double IPA, Hop-Trio Triple IPA, Tanilla Porter, and Stoutello Chocolate Hazelnut Stout. Children and pets are welcome at the brewery’s tasting room, which is open seven days a week and offers live music performances, food truck pop-ups, and a variety of public special events. Cellarmaker Brewing Co. is a San Francisco-based small-batch brewery that offers a rotating selection of limited-release brews that experiment with hop, yeast, and flavor styles. The brewery’s adults-only tasting room offers contemporary decor and serves drafts on a first-come, first-served basis, allowing visitors to bring their own food or order from a number of nearby restaurants. Past brews crafted by the brewery include its Lost Wisdom Solera Saison, Electric Eye and Dirty Little Secret Pale Ales, Wicked Juicy IPA, Sonic Nurse Pilsner, and Barrel-Lagered Angrew Schwartzbier. A Coffee Sessions series also emphasizes coffee infusions in styles such as porters and stouts. 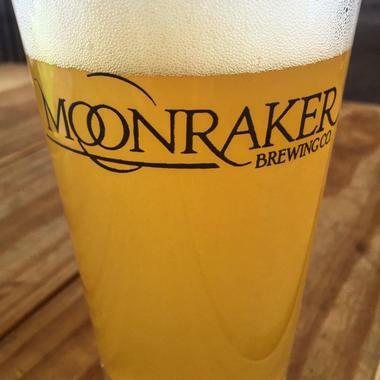 Moonraker Brewing Co. was opened on Earth Day of 2016, reflecting the brewery’s commitment to sustainable practices reducing its carbon footprint, including the use of more than 1,100 solar panels to power the brewery’s operations. The brewery, which was named as California’s Best New Brewery in 2016, strives for creativity and innovation with its recipes, offering many hop-forward concoctions among its year-round and seasonal brews. Popular brews include its award-winning Miss Conduct Blonde Ale, its Interwoven Saison, its Mountain Lines West Coast Pale Ale, and its Ned Hoddings West Coast IPA. Local food offerings are available throughout the week, and a special party room is available for private group reservations. Monkish Brewing Co. is a small Torrance brewery that offers a family-friendly and pet-friendly tasting room. The brewery was opened in 2012 and does not distribute its beers beyond its own tasting room, making each brew an exclusive rare find. Popular brews include taps such as the brewery’s Subliminal Sequel Belgian-style Blonde Ale, Anomaly Belgian-style Dark Strong Ale, Feminist Hibiscus Tripel, Lyre and Rhyme Saison, and Dream Within a Dream Farmhouse Ale. A variety of mixed-fermentation ales are also tapped, including many barrel-aged brews. Food trucks are available on site several days a week, with limited bar snacks served at the tasting room daily. 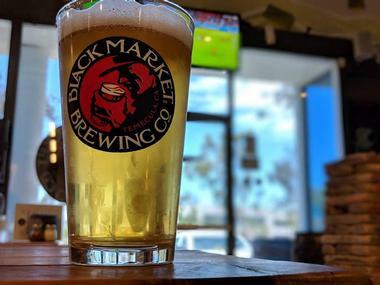 © Black Market Brewing Co.
Black Market Brewing Co. opened in Temecula in 2009 and is credited with sparking the city’s burgeoning craft microbrewery scene. The award-winning brewery distributes beers throughout the American West Coast that focus on experimental hops and innovative styles. Its tasting room offers informal seating and a full kitchen menu, including artisanal pizzas, salads, and small bites. Year-round brews include the brewery’s Deception Blonde Ale, Aftermath IPA, Shakedown Brown Ale, Craft Michelada, and Great White Buffalo White Coffee Stout. 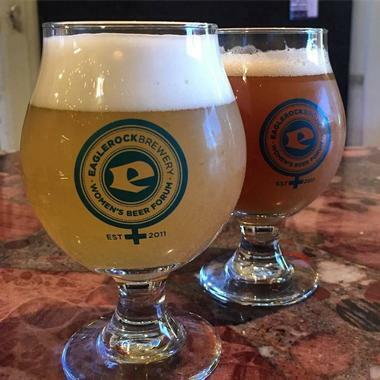 Rotating IPA and gose series beers are also tapped, along with several non-alcoholic beverage options, including the brewery’s craft fruit-flavored ice tea. Russian River Brewing Company focuses on hop-forward California-style ales, traditional Belgian brews, and barrel-aged experimental beers, offering a full lineup of craft ales and lagers that is distributed throughout the California region. Year-round brews include the brewery’s Blind Pig IPA, while limited releases include its exclusive Pliny the Younger Triple IPA, which is only available two weeks out of the year as an exclusive draft release. The brewery’s new 180-seat brewpub, which opened in 2018, offers a diverse menu of classic American fare, including dishes with ingredients sourced from the brewery’s own produce garden. Guided tours are available by reservation, and a large gift shop offers a wide variety of merchandise featuring the brewery’s logo. Visitors should note that the brewery’s original taproom location is often very busy on weekends, with an opening line and an extended wait for tables throughout the day. 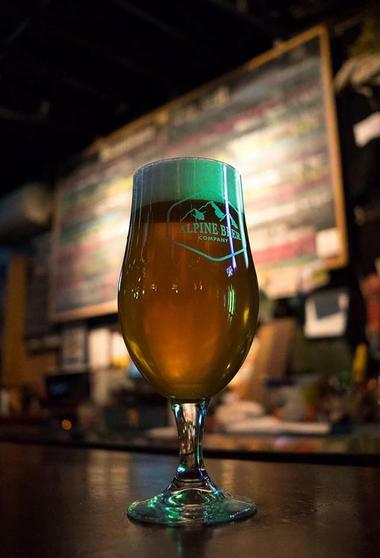 Alpine Beer Company was founded in 1999 by Pat McIlhenney and is known as Alpine’s “home of pure hoppiness.” The small-town brewpub, which was opened in 2002, showcases 30 beers on tap and offers a seasonal outdoor patio. Major release beers served consistently include the brewery’s Willy American Wheat Ale, Truck Trail American Pale Ale, Hoppy Birthday Pale Ale, Nelson Rye Ale, and Windows Up, Duet, and Pure Hoppiness IPAs. Several guest beers from local and regional breweries are also regularly tapped. 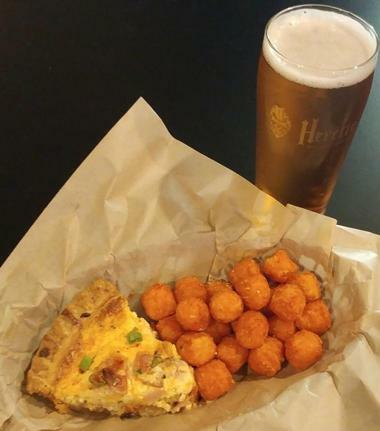 Pub fare served at the brewery includes barbecue dishes with freshly-smoked meats, creative bar appetizers, and craft burgers and sandwiches. 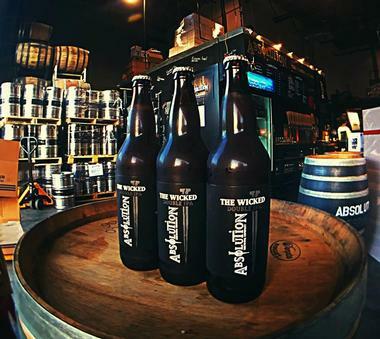 Absolution Brewing Company blends old-world brewing styles with new-world ingredients, offering two breweries and restaurants in Torrance and La Jolla. Popular brews tapped at both locations include the brewery’s Absolution 405 IPA, Cardinal Sin Irish Red Ale, LJ Beach Blonde Kolsch, Requiem Vienna Lager, Holy Cow Milk Stout, and award-winning Darkened Angel Black IPA. 22 taps are offered at the brewery’s original Torrance location, which offers local food trucks and the brewery’s own non-alcoholic root beer and cream soda. The La Jolla location is operated as an open-air brewery and restaurant, featuring a menu designed by executive chef Joshua Kihm and a covered patio with two fire pits. 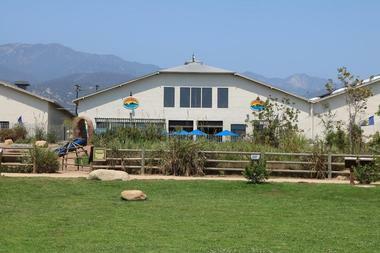 Eagle Rock Brewery was opened to the public in 2009, established by Jeremy and Steven Raub and Ting Su. The family-owned brewery was Los Angeles’ first modern craft microbrewery, the first of its kind opened in the city in more than 60 years. Today, the brewery continues to dedicate itself to the ongoing development of the city’s beer community and offers high-quality, well-balanced beers in a wide variety of styles. Core brews include its Populist American IPA, Manifesto Belgian-style Witbier, 3056 Pale Ale, and Amwolf German-style Pilsner. Seasonal beers include collaborations, anniversary brews, and the brewery’s Woodwork Project barrel-aged series and Day Trip series, which is inspired by the region’s surrounding natural getaways. Food trucks are available on site most days, and private parties may be hosted at the brewery with reservations. Island Brewing Company is an award-winning Carpinteria brewery that offers a wide variety of distinctive handcrafted brews made from top-quality ingredients. The family-owned brewery has been in operation since 2001 and offers stunning views of Channel Islands National Park from its taproom, which serves a variety of the brewery’s beers on tap. Popular beers include the brewery’s Island Blonde Kolsch-style Ale, Avocado Honey Ale, Tropical Lager, Jubilee Scotch-style Ale, and Starry Night Stout, which was the recipient of medals from the World Beer Cup and Great American Beer Festival. 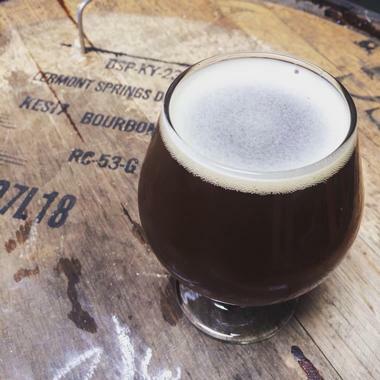 Speciality brews include barrel-aged beers, barleywines, and craft saisons. 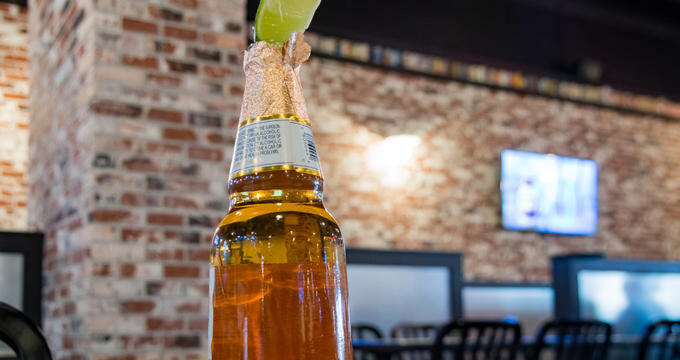 A VIP room is available at the taproom for private parties, offering a private bathroom, kitchen prep area, and large flat screen television with HDMI and wifi hookups. 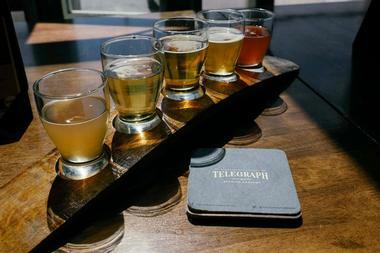 Telegraph Brewing Co. brews craft ales using locally-sourced ingredients whenever possible, aiming to inject creativity and innovation into classic American brewing styles. The small-batch Santa Barbara brewery offers a hip tasting room with old-school video games, dart boards, and Tiki Toss, offering pints and to-go sales, including growler fills. Year-round beers offered at the brewery include its West Swell and Santa Barbara Mosaic IPAs, its California Belgian-style Pale Ale, its Stock Porter, and its chamomile-spiced White Ale. Seasonal brews emphasize ingredients such as chile peppers and local coffee, while an Obscura series focuses on experimental barrel-aged ales. Food trucks are offered on site periodically, and special events are hosted at the brewery on a regular basis, including beer release parties announced through the company’s social media. 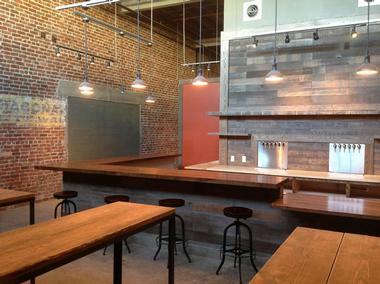 Ohana Brewing Company is a recent addition to Los Angeles’ craft beer scene, opening in August of 2012 within the former Craftsman Brewing Company barrel brewhouse. The brewery’s slogan is “a fresh face in beer,” emphasizing its unique artisanal techniques and ultra-small production approach. Growlers and kegs are available at its intimate taproom, which also offers a rotating selection of the brewery’s beers on draft. Year-round offerings include its Pacific Blonde Ale and Spa Water Saison, which received a bronze medal at the 2017 Great American Beer Festival. Rotating brews include the brewery’s 2014 World Beer Cup silver medal-winning Saison Noir, while limited releases include its strawberry-flavored 50 Shades of Stout, its Why is it Green Matcha Blonde Ale, and its Surf Shack Oud Sour Brown Ale. 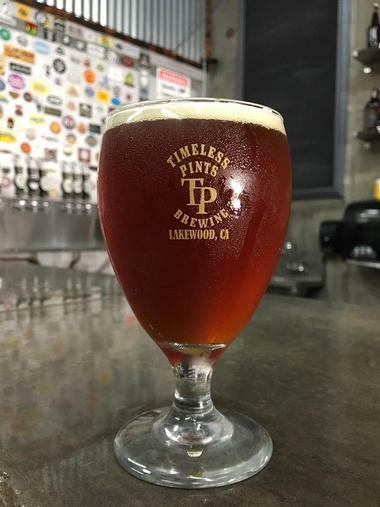 20.Timeless Pints Brewing Company, Inc.
© Timeless Pints Brewing Company, Inc.
Timeless Pints Brewing Company, Inc. is Lakewood’s only microbrewery, conveniently located near the Long Beach Airport. The brewery was opened by homebrewer Chris Sparacio and specializes in producing a wide variety of craft beer styles. Its tasting room is open to the public Wednesdays through Sundays and welcomes children and well-behaved pets. Growlers and kegs are available for sale, along with drafts of the brewery’s most popular beers, including its Good Mannered Belgian Witbier, its Swarm and a Hatter Honey Blonde Abbey Ale, its Timeless Tale Pale Ale, and its Expeditious Guest IPA. Food trucks are offered on site periodically, and visitors are welcome to bring their own food or have food delivered from a number of nearby restaurants. The Brewing Lair was opened in 2011 by beer lovers Rich DeLano and Susan Duniphin and operates a 15-barrel brewhouse today that is dedicated to the production and distribution of high-quality ales. 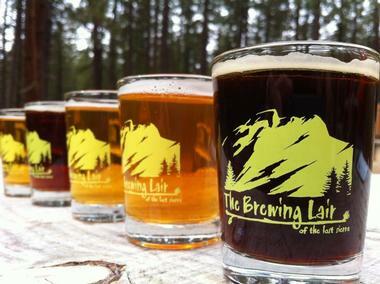 The year-round brewery offers a tasting room with a nine-hole disc golf course on 15 acres of land and features regular live music performances by local musicians. Year-round ales offered by the brewery include its Ambush, Take a Hike, and Deep Cover Black IPAs, while seasonal and limited-release offerings focus on Belgian styles, session ales, and single-hop blondes. The brewery’s Trail of Tastes self-guided tour educates visitors on the brewing process and offers complimentary flights featuring five four-ounce pours of the brewery’s most popular beverages. Refuge Brewery was opened to the public in December of 2012 by Curt Kucera and specializes in traditional Belgian-style ales infused with modern brewing techniques. The self-built brewery is Temecula’s largest brewery and is best known as the developer of Ss Brewtech technology, which is the world’s leading homebrewing technology and is used by some of the industry’s top breweries today. 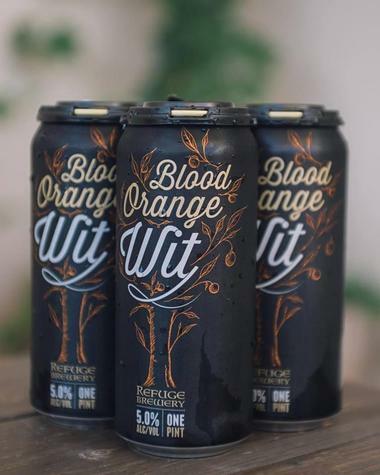 Brews emphasize locally-sourced seasonal ingredients and include the brewery’s flagship Blood Orange Wit, which received a gold medal in 2018 from the Great American Beer Festival. Other standard brews include its Grapefruit IPA and West Coast Red Ale. A tasting room lets visitors try up to 20 of the brewery’s beers on tap and is available for rental for private special events, including weddings and corporate events. Public special events at the brewery include its Summer Nights at Refuge event series, which features live music and food trucks on its back patio. Ritual Brewing Co. is a Redlands brewery founded by homebrewers Owen Williams and Steve Dunkerken. 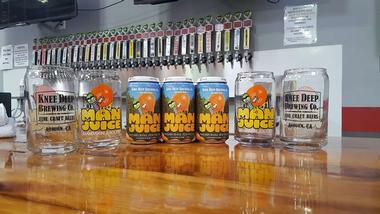 The laid-back brewery offers 24 taps within its public taproom, which also services growler fills and to-go sales. Knowledgeable beer guides offer information about the brewery’s construction and ale-making, creating a community gathering place environment. Year-round brews include the brewery’s signature Extra Red Ale, Hop-o-Matic IPA, Monk’s Lunch Belgian-style Ale, Honeybuzz Blonde Ale, and Wit’s End Witbier. Seasonal offerings emphasize easy-drinking session options and single-hop concoctions, while limited releases focus on imperial and barrel-aged variants of favorite brews. 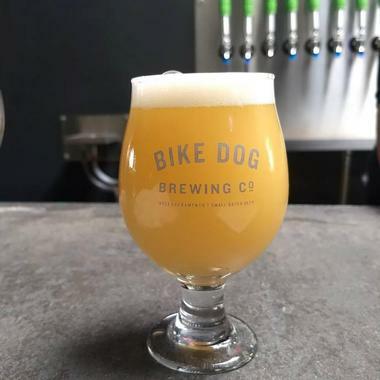 Bike Dog Brewing Company was founded by four friends with a passion for bikes, beers, and dogs. Today, the brewery offers a pet-friendly taproom in West Sacramento that offers corn hole, card games, and periodic food truck pop-ups. Popular brews available at the taproom and in distribution throughout California include the brewery’s Prosperite Saison, Nameless Brut, Nitro Bici Perro Mexican Lager, Dog Years and Sam Dog IPAs, Klunker Red Ale, and 38 and Fine Kolsch. 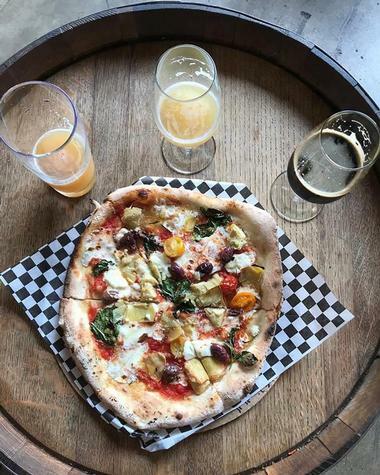 A new taproom on Broadway in downtown Sacramento also offers a full kitchen menu, serving craft pizzas, classic sandwiches, and a variety of contemporary American entrees. Heretic Brewing Company has pushed the boundaries of brewing with their unique flavor concoctions since 2011. The brewery opened its permanent location in Fairfield in 2013, which offers a family-friendly taproom open seven days a week. A wide variety of year-round and seasonal brews are available on tap, including many taproom exclusives not sold elsewhere. Popular brews include the brewery’s Bitter Truth English-style Pale Ale, Bovine Intervention Milk Stout, CHP Chocolate Hazelnut Porter, Evil Twin Red IPA, and award-winning Gramarye Rye Ale and Shallow Grave Porter. Bar snacks are served daily, with food trucks available on site on the weekends and bring-your-own-food service permitted. Aftershock Brewing Co., Photo: Aftershock Brewing Co.
Cellarmaker Brewing Co., Photo: Cellarmaker Brewing Co.
Moonraker Brewing Co., Photo: Moonraker Brewing Co.
Monkish Brewing Co., Photo: Monkish Brewing Co.
Black Market Brewing Co., Photo: Black Market Brewing Co.
Telegraph Brewing Co., Photo: Telegraph Brewing Co.
Timeless Pints Brewing Company, Inc., Photo: Timeless Pints Brewing Company, Inc.